From Linh Le´s performance For a Moment: Singularity. On the photo from the left: Linh Le, Peter Vadim and Christian Otto Madsen. In her thesis, she explores the potential of dance as liberating in our relationship to urban spaces. 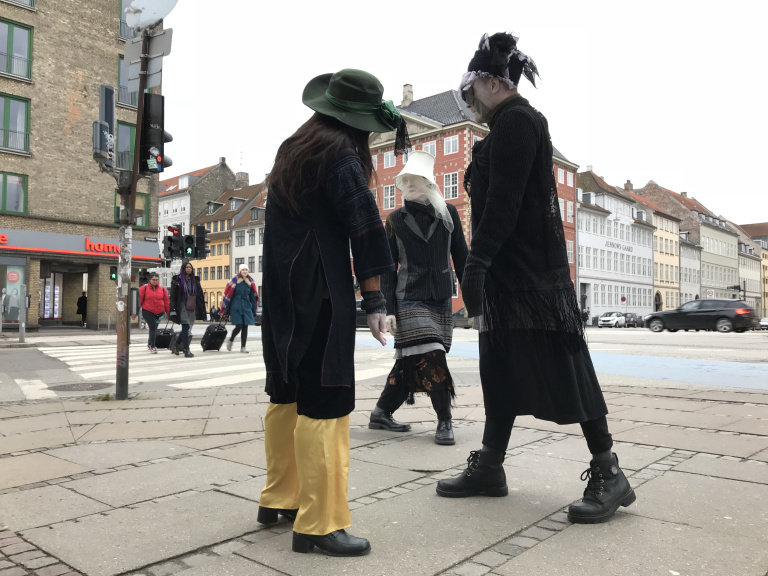 We danced hyper-slowly through the city of Copenhagen in order to resist the rhythm of the city and the choreographed life. 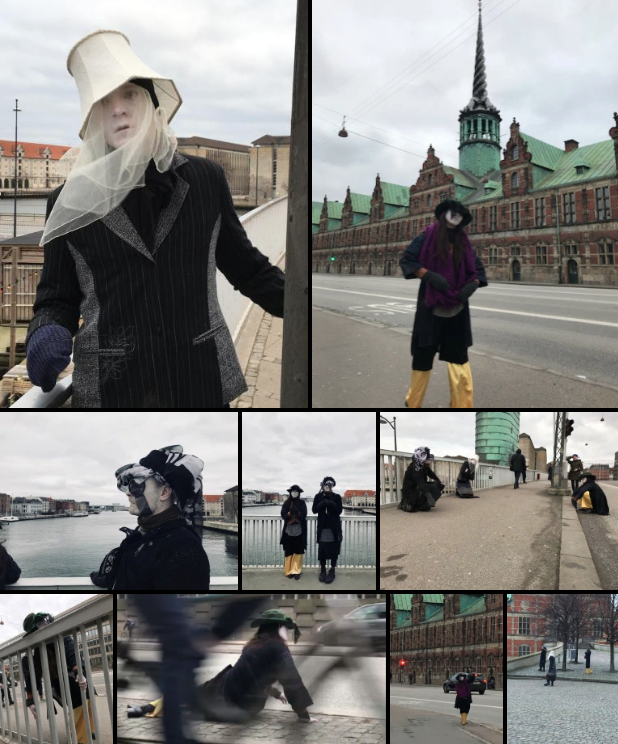 She wanted to find out what emerges when movement patterns change in our everyday life and what kind of experiences that will emerge, not only in ourselves but also in our relationship to each other and to the city. 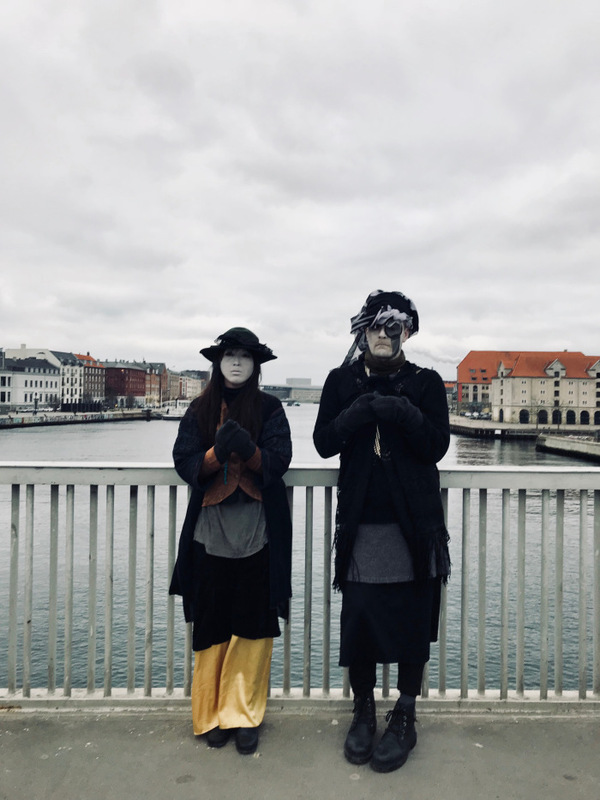 We worked with how Butoh Dance are able to depersonalise us and thereby let us be possessed by various beings and states. We strove to what Sumako Koseki describes as changing the intention of our minds into spontaneity and thereby our humanity into animality.